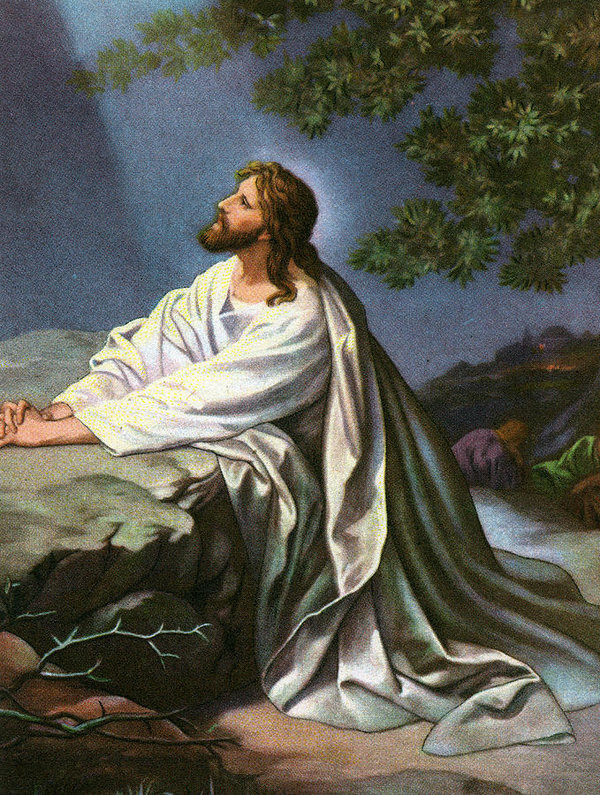 After speaking to His disciples, Jesus takes three of them with Him to the Garden of Gethsemane to pray. The Garden of Gethsemane was the place where Jesus had prayed before and now just hours before the crucifixion returns one last time for prayer. Peter had just moments before declared His loyalty to Jesus to the point of exclaiming even if the others leave you I will stay and will be willing to give my life for you. The other disciples agreed with Peter. Now as Jesus will spend most of the evening in agonizing prayer, He expresses to His Father the need. Jesus’ soul is sorrowful even to the point of death. In such a time of distress, He calls upon three of his closest companions to help Him pray. He finds his friends sleeping. In verse 39 as Jesus is pouring out His heart, He asks His Father if there is any way possible let this cup pass from Me? Jesus is asking His Father, is there some other way for salvation to be accomplished besides the cross? Many believe there are many ways and paths to eternal life and right relationship with the Father, if there were many ways, then Jesus would not have gone to the cross. Jesus reminds us that there is only one way to the Father! He prays that as much as He would like this cup to pass, nevertheless not my will but the Fathers will be done. Jesus comes back to His disciples and finds them sleeping. They were in the garden with Him, but they were not praying with or for Him. In the garden, Jesus expressed and displayed His commitment to the Fathers will. What a gripping picture we have before us of our Savior praying to the Father. It is an agonizing prayer! His love and commitment to the Father and for us, causes Him to commit to the will of the Father. He faces the agony and death on the cross and suffers in our place that we might be set free. All we can say is hallelujah what a Savior! My thoughts from the wee hours of the morning.